In my opinion an HTML sitemap is one of the most important tactics you can use to distribute your link juice efficiently within your site. Yet many bloggers and webmasters neglect it. In this article I will explain how the HTML sitemap works, and also give you a hot tip you can use to boost your search engine optimization. 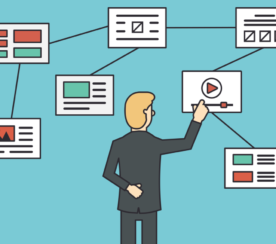 First things first, what is an HTML sitemap? It is an actual page of your website that outlines the complete structure of your site, and that links to all the important pages on your site. 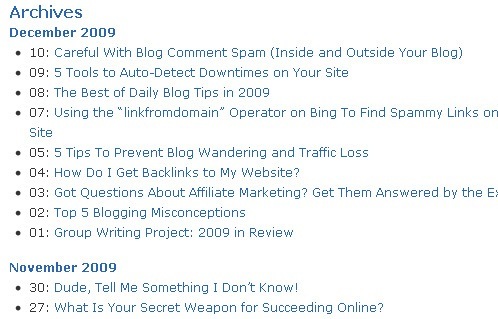 If you want to see an example, check the Archives section of my blog. I call it “Archives”, but that is nothing more than an HTML sitemap, because it outlines the structure of all the posts I have published there month by month, and it also links to all of them. Now it is important to not confuse an HTML sitemap with an XML one. An XML sitemap also outlines the structures of your site, but the XML format is understood by search engine bots only. If you visit an XML sitemap you will just see a bunch of code. 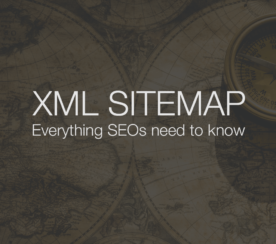 XML sitemaps are useful if you are having crawling or indexation problems on your site. That is, if search engine bots are not visiting or indexing your pages correctly. 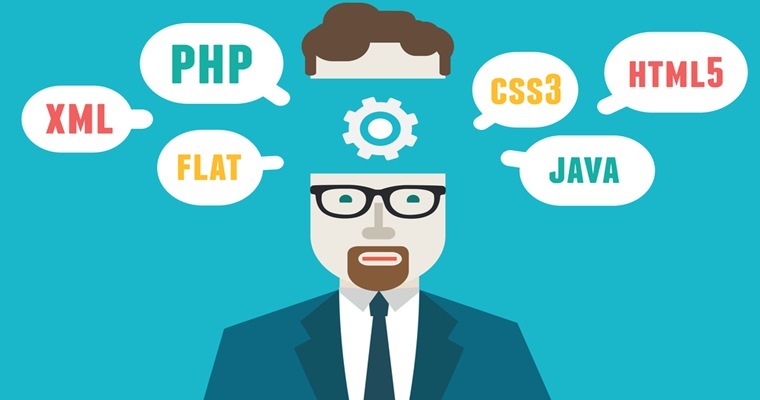 If you are not having such problems, however, having an XML sitemap is not essential. The HTML sitemap, on the other had, can be very useful no matter what. First of all because it is valuable for human visitors, as it allows them to find any page within your site quickly. Second, and most important, HTML sitemaps represent a very efficient way to distribute your link juice among the pages of your site. Finally, here is the hot tip that I promised: getting external backlinks pointing to your HTML sitemap can be very good to your search engine optimization. Why? Because that link juice will pass directly to all the pages on your site. If you get a backlink pointing to an internal page (e.g., a blog post) it will need to pass through at least one hop before it passes juice to other pages. Links to the HTML sitemap, on the other hand, pass juice directly to all other pages on your site. The next time you do a guest post, therefore, consider pointing the byline link to your HTML sitemap instead of your homepage. Daniel Scocco is the owner of Daily Blog Tips. Make sure to download his Make Money Blogging ebook if you are looking to take your blog to the next level.